It’s well documented that the San Diego Padres have the best farm system in baseball and they are deepest with left-handed pitchers. It may be time to think about dealing some. The Padres are off to a good start at 8-5 despite relying heavily on a young, inexperienced pitching staff. More than any other team in baseball, the Friars need a veteran starter to bolster and lead this young staff. San Diego was not keen on options available on the free agent market such as Gio Gonzalez or Dallas Keuchel, the latter of whom remains unsigned. The trade route seems to be the more likely and fruitful option for obtaining such a starter. Rumors have swirled about Corey Kluber or Trevor Bauer of the Indians or Marcus Stroman of the Blue Jays. Regardless of who the Padres trade for, the price to obtain any quality major league starting pitcher will be a hefty one. The Padres should consider dealing at least one of their plethora of southpaws all over their sparkling farm system. The Padres currently have four lefties in their starting rotation with Joey Lucchesi, Eric Lauer, Matt Strahm, and Nick Margevicius. The top pitching prospect in the entire system, MacKenzie Gore, is also a lefty. 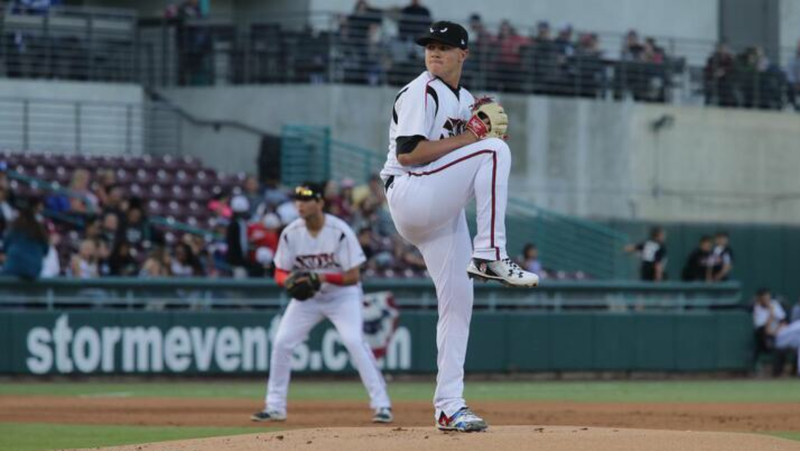 Among the Padres’ top 30 prospects, 13 of them are pitchers, five of them being southpaws. 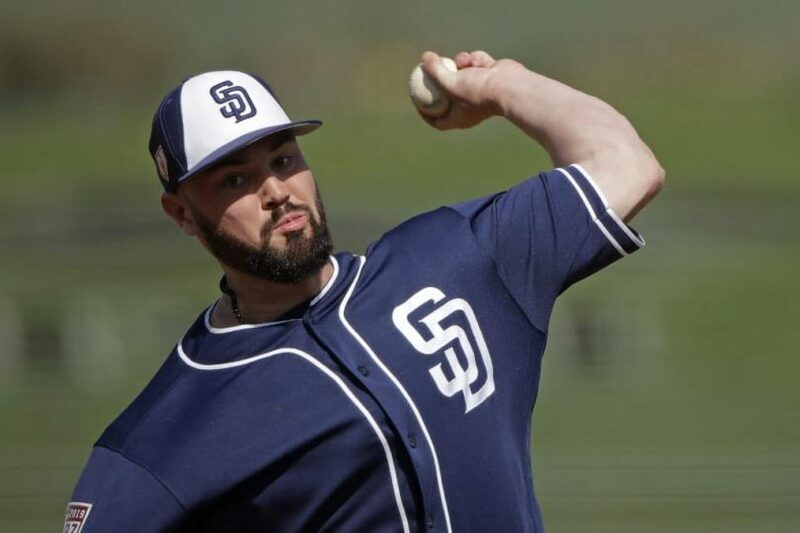 Assuming at least one of Lucchesi, Lauer, Margevicius, and Strahm will stick around in the rotation, with Gore eventually joining them in the next season or two, the Padres can afford to part with some southpaw prospects. Let’s assume, among the lefties, Gore is untouchable. Ryan Weathers, last season’s first-round draft pick, is a close second. Adrian Morejon and Logan Allen are both off to slow starts this season, and their value may be decreasing. Morejon has struggled to stay healthy, making only 27 starts in the last two seasons. Wednesday night, he allowed five earned runs on five walks in four innings, raising his ERA to 10.13. Allen allowed seven runs in his first start, and five earned runs in his second, going just five total innings. Teams typically do not do what fans do, which is overreact after two bad starts to begin a season. Morejon and Allen’s value is still very high. They are also not the only ones the Friars should consider moving. 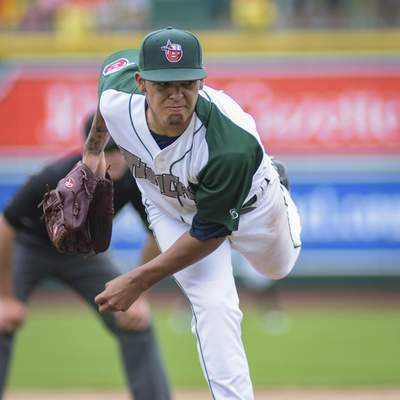 Osvaldo Hernandez is also a top 30 prospect and is on the injured list currently but had a 1.81 ERA in 21 games for Fort Wayne last season. Trading one of Lauer, Strahm or Lucchesi should not be off the table either. It does not behoove the Padres to have such a lefty-heavy rotation, with the number of quality right-handed sluggers in today’s game. While the value of these lefties is still high, General Manager A.J. Preller should act swiftly to deal one or two in a package for a quality, controllable starter. Most teams value left-handed pitching prospects, hence why San Diego stockpiled them in the first place. The Padres have established such a dazzling reputation around baseball for their farm system; teams will covet any pitching prospects they dangle out there. San Diego has more artillery to swing a big trade than any other major league team. If another team is putting one of their starting pitchers on the trade block, the first place they would look to make a deal is San Diego, with all that pitching. This is not to suggest that the Padres should sell the farm once again for an ace, as they have tried to do in the past. However, it would be unwise to sit on all this “loot” and not cash in at least something. Part of having a great farm system is, of course, developing the talent to grow into major league contributors working towards a World Series title, but also to create attractive trade pieces to evolve your team further. It’s not realistic to expect all of these prospects to work out for the Padres. Each of the past four World Series champions have traded for a proven, front-line starter. The 2015 Royals traded for Johnny Cueto, who pitched a complete game in that Fall Classic. Jake Arrieta led the Chicago Cubs to their first World Series in a century in 2016, after he was traded to Chicago a few seasons earlier. The Astros do not win the 2017 World Series without trading for Justin Verlander. Finally, the Red Sox won the 2018 World Series much due to their ace Chris Sale, who was acquired by trade from the White Sox. The blueprint is there, and now it’s time to pull the trigger, using the Friars’ best weapon, left-handed pitching prospects. Previous The Padres are in First Place: Smoke and Mirrors or the Real Deal? With Gore, Weathers, Allen on the horizon and all lefties, the Pads should be looking to move at least one of them. Whichever will provide the greatest return, obviously. Need a lefty OF’er whose a good “on-base” guy. From what I’ve read Lamet may return mid-season but Richards is more late August at best. And he’s more of a ‘20 signing, so it might be best not to push him too fast. While being in the hunt for a post season spot would be great, Pads should stay the course, not get caught up in the early success and continue to use this year to build for 2020 and beyond. It’s interesting. I agree to some degree, but it really depends how the organization sees Lamet and Richards at least somewhat. Let’s say the Padres are in it at the beginning of June, and Lamet is knocking on the door and Richards is ahead of schedule and could be MLB ready at the middle of August. (I have no idea on these timelines…). Do you send guys already producing at the MLB level for…a right handed vet with a year plus of control? Three weeks ago, I would have said yes, probably. But, I’m amazed that Lauer, Margevicius, and to a lesser degree Strahm have given such strong starts. I’m more concerned by the lack of left handedness in the pen despite obvious organizational efforts to have multiple options there. When does Castillo return? Ideally, maybe, Lamet comes back as a number 3 and Strahm kicks back into the pen. That gives you Lucchesi, Lauer, Margs, Lamet, and Paddack. I would guess Margs is the one to go down if a trade piece or Richards come in. Now, you’re 60% right-handed. Interesting indeed. IF a deal is made, I hope a left handed hitter is part of the equation. Fun, fun times! Go Padres!